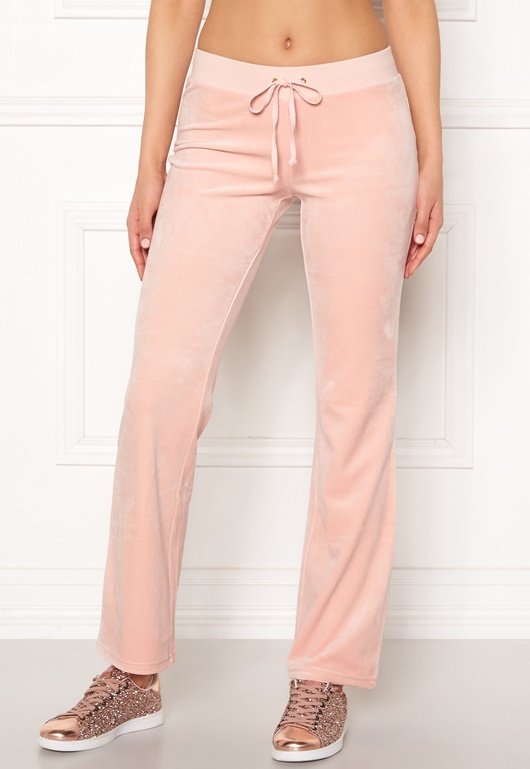 Lovely velour pants from JUICY COUTURE. The pants are a wide fit with drawstring waist – perfect for everyday wear. - Soft, stretch quality - Elasticated waist with drawstring - Two buttoned back pockets Inside leg 79 cm in size S. The model is 178 cm tall and wears a size S. Machine wash at 30 degrees (delicates).